As I am sitting on -3 day before my new son is born I am left to contemplate so many things. First of all, its been 8 3/4 years since I have had to deal with a newborn. The things that come to mind are how did the first one turn out so great considering I was a wreck. 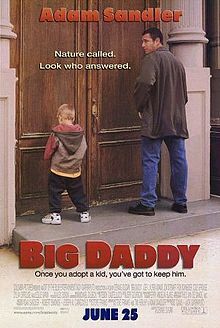 My only inspiration of fatherhood was Adam Sandler’s movie Big Daddy. If you haven’t seen the movie, here is a summary of the plot. An unemployed man-child pretends to be his roommate to adopt a child to try to get his cheating girlfriend to not leave him. 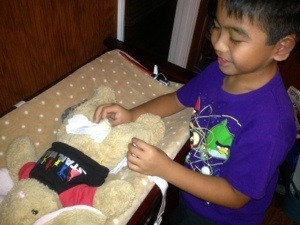 In the process, he learns to grow up and eventually becomes a productive member of society. I am not sure if my story is the same but I do still act like a 12 year old man-child. I mean, for goodness sakes my 8 year old and I crack up at armpit farts and I am almost 40. Secondly, my first son and I were ready to start adventuring like big kids. I bought an off road vehicle, collected an impressive collection of fishing lures for every type of fresh water fish, and I taught him how to swear. Ok, maybe not the last one. Lastly, we are almost at the moment when the new edition to our family breathes his first breath and cries his first cry. All I can think of is how proud I am of my wife for toughing out the past 9 months and the pride I have in my son who is so excited to be a big brother.